Find out the 10 best cheap VPS hosting sites to host your business in the year of 2019 and get top resources for the cheapest price ever. When it comes to finding a good server to host websites or to start a business, it’s very important to get the minimum system requirements in hardware and management options. Knowing precisely how robust the VPS should be is an important matter in 2019, to not spend too much on super servers and not hold back too much money, choosing cheap VPS that won’t work for your purpose. We understand you and that’s why we searched for the 10 best cheap VPS hosting sites of 2019 and listed them all. Now you have not only one, but 10 VPS options to get a cheap server for websites. Search among the features which special Virtual Private Servers details you find the most important, and then decide if it’s worth spending or sparing a few extra bucks. More important than getting the cheapest options, is to offer cheap VPS possibilities that are truly resourceful. We get that you are here because the low-cost of a server matters, but we need to balance cost and benefit when it comes to cheap web hosting. Get ready to analyze or follow our VPS analyze to make a final decision. AccuWebHosting offers fully performant VPS at a very affordable rate. Their VPS plans are set up on the Cloud infrastructure with SSD drive which boosts the performance. You will have an option to launch your VPS in the nearest location for better performance to your site visitors. At just $7.99 USD, you will have 1 GB RAM, 40 GB SSD storage, and 1 TB of bandwidth. Each server comes with at least 1 dedicated IP address and full root access. You can install and run any application of your choice. Also, 7 days of money back guarantee is always included in each VPS plan. When it comes to technical support, they are 24*7 available via live chat and ticketing system. At technical support, AccuWebHosting is unbeatable. AccuWebHosting: How Cheap is it? 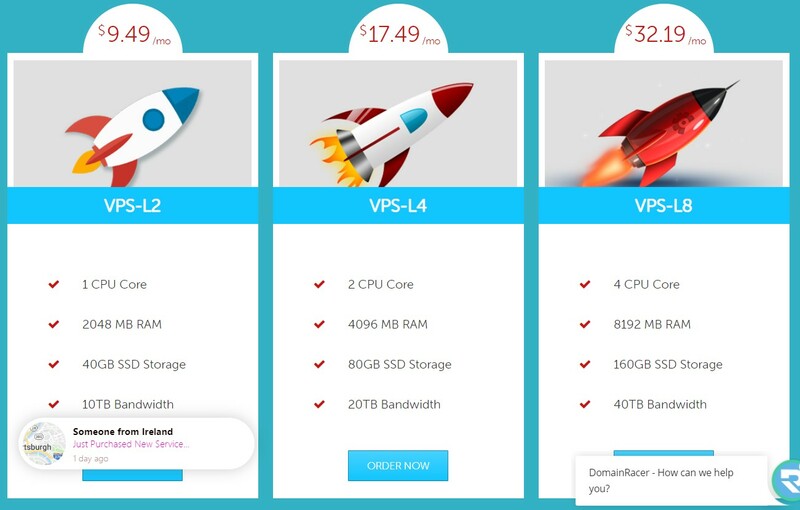 One of the cheapest VPS online to be found, the options in Hostinger may be for those with a very tight budget who want a virtualized server with enough resources. They offer 1 TB of bandwidth, which should be more than enough to start. The RAM is burstable up to 2 GB and the CPU power of 2.4 GHz may be enough to compensate the first 20 GB of disk space for the cheapest virtual server plan. Hostinger: How Cheap is it? The virtual and standard droplets from Digital Ocean are good VPS options for beginners, Their low cost, differently from the CPU optimized plans, are up to any budget. Get 25 GB of SSD disk space, 1 vCPU and 1 GB RAM for the smallest price. It is as low as $0.007/hour of hosting service. Install add-on applications such as WordPress, Wiki, Magento Store and others with a simple click, during the setup of your droplet. Digital Ocean: How Cheap is it? Vultr.com – Now offer $25 Bonus! 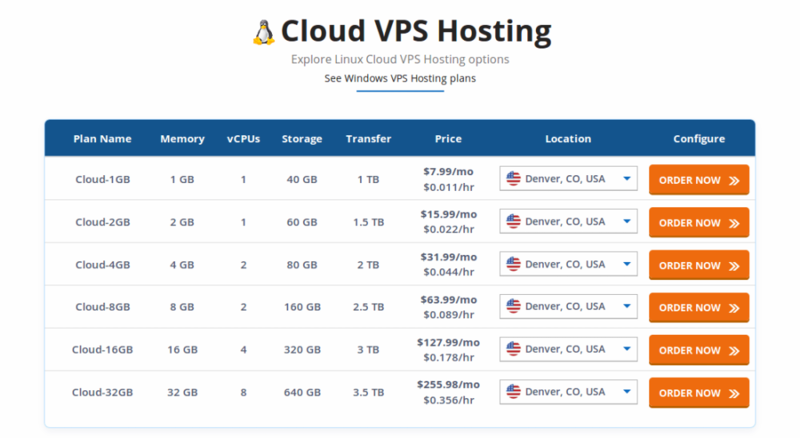 Get up to 10 different VPS configurations that start from a very cheap price, the reason why we included Hostwinds in our top cheapest servers list. Get 30 GB of disk space if you decide to get this cheap VPS hosting site, besides 1 GB of RAM and 1 CPU CORE, with a total bandwidth of 1 TB. With this server configuration, the client may enable daily backups, upgrades with no downtime and the possibility to have either managed or unmanaged hosts with Linux or Windows. Increase the power of your server according to your website’s upgrades. If not interested in keeping the deal within 60 days, they give your money back. Hostwinds: How Cheap is it? Carrying the declaration of cheap VPS in the website title shows that this internet hosting provider is not kidding around with its premises. With more CPU power than most of the competitors in this list, they cut off in other hardware configuration to balance their low-cost VPS. 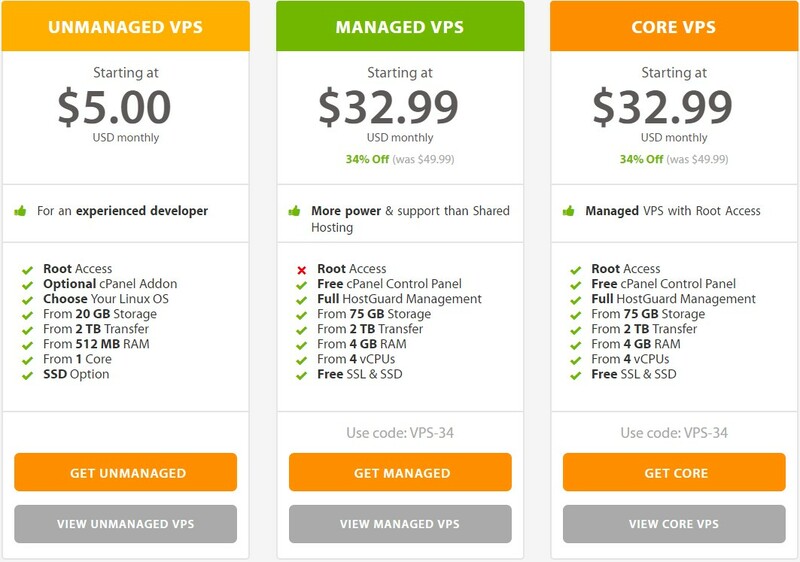 By paying the annual cost, which is almost as cheap as the monthly fee of mostly VPS hosts, the cost is not much more than 2$ per month! 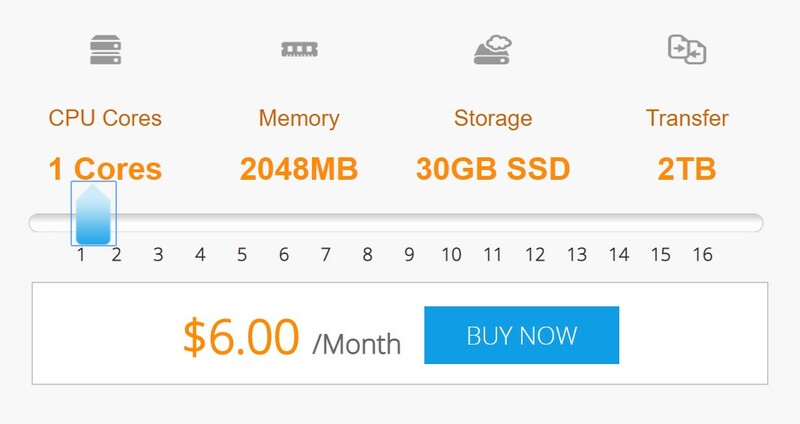 That low fee is for a 100% SSD Linux server, for you to call your own. The uptime is of 99.4%, which is not as high as the other VPS listed here. Due to their smaller size and for being made for a very low budget plan, their support is also not as good. Virpus: How Cheap is it? Like our first indication, InterServer raises the cheap VPS configuration adding a few cents, less than $1. Get double memory and bandwidth for a very low cost with a Linux Cloud VPS. For Windows options, the price raises a little bit. Although there is no money-back guarantee, a plus is that the low price is kept during the entire contract, not raising after the first months or the first year, ensuring that people who need cheap virtual servers won’t have issues in keeping the same hired price. For those who prefer to manage cheap VPS through a panel, the famous application cPanel may be added for an additional fee. InterServer: How Cheap is it? With 1&1 IONOS cheap VPS, the SSD capacity goes up to 50 GB, while CPU and RAM in GB are kept as 1. Important to mention that their CPU option is an Intel Xeon processor. They also offer complete 24/7 support for their clients, you may even add Plesk Onyx panel to make sure the management is easier, therefore requiring less help from their VPS support. In case there are issues with the server, such as downtime differently to what is agreed – which is 99.9% uptime – you may ask to have your money back through the same support channel. 1&1 IONOS: How Cheap is it? Expect a strong hardware support for your website or business by purchasing cheap VPS at this internet host. 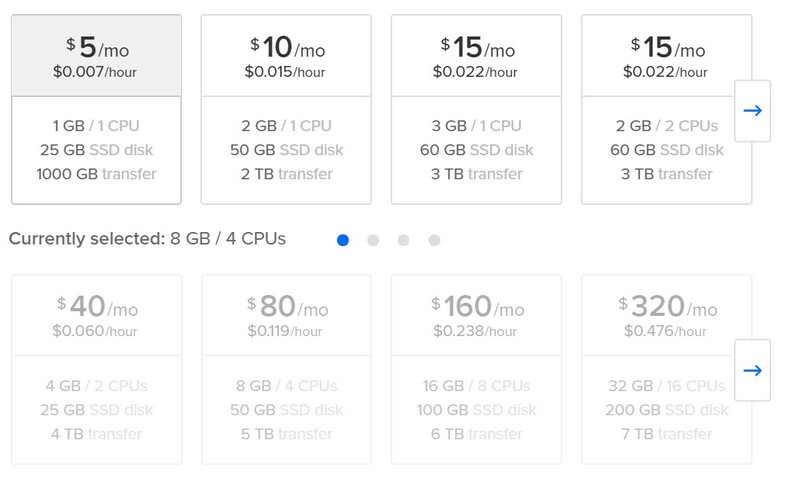 For a very low price, it’s possible to get 6 GB RAM, 30GB of SSD disk space and 2 TB for bandwidth. Limited to Linux with full root access, control panel and 4 vCPU, the cheapest host option for 2019 in VPSDime has an interesting 99.99% uptime guarantee, besides backup and restoration, important to keep your website health. VPSDime: How Cheap is it? Starting with 40 GB of free disk space, Mocha Host doesn’t offer much more than others when it comes to hardware. There is the possibility to extend the 0,5 GB RAM up to 1 GB. However, the upgrade to just 9.98$/mo. grants 2 GB and up to 3 GB RAM, besides extra 20 GB of disk space. Choose between managed or not for this VPS hosting service and get also the free and unlimited SSL just for taking the second and cheap server plan. They also offer backups, free search engine optimization tools, free CDN and many other add-ons. Most important of all, it’s possible to give up within 180 days and get your money back, with any of their plans. MochaHost: How Cheap is it? There is no doubt that unmanaged VPS are the less expensive options in the hosting market. That’s why A2 Hosting is one of the best VPS hosting sites for the year of 2019. They offer 2 TB of bandwidth, 512 MB RAM and free SSD. They have a 24/7 friendly support ready to take any issues, which may occur for those who are just starting their own virtual server. Fortunately, they have a 99.9% uptime commitment with their clients. Most impressive of all, you may ask for refund to your VPS at any time. A2 Hosting: How Cheap is it? In this race to start off a new business online with the cheapest hosting service, you might want to give Domain Racer a try. They start with 2 GB RAM, 10 TB of bandwidth – which is almost unlimited to most companies or individuals just starting – and 40 GB of completely SSD storage. Any upgrades won’t demand any kind of restart of your server, the infrastructure is cloud-based, and they use Intel Xeon processors in their virtual machine servers. Domain Racer: How Cheap is it? The cost is very much important when first starting a new business, web application or website. Therefore, we assembled up to ten different options for those starting with a thigh budget, or that may be simply testing VPS before starting. These are the 10 best VPS hosting sites of 2019 and anyone willing to take the first step this year should read this list. Good luck choosing between our options.